Dover Castle visit 25th May 2016. 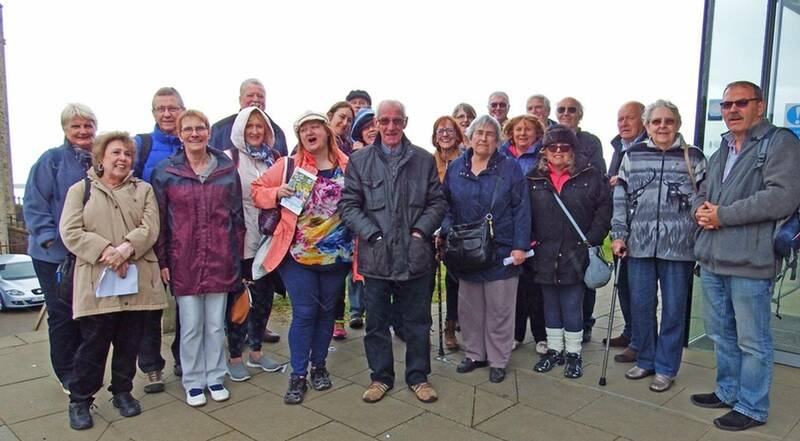 Visit to Dover Castle on Wednesday 25th May. We started off from Crayford with a full BAT’s coach with Guy driving. Several cars took the people who couldn’t get on the coach and they soon disappeared over the horizon. It was a good day weather-wise despite the odd light shower. A rest stop was made at Faversham which had a café and a wide range of food and other goodies. We arrived at Dover Castle (built from 1180’s) and from the car park looked down over the dock in which a large liner was moored. There was also a great view across the channel. It was the obvious place to build a castle as it would be very difficult to attack as it is on the top of a high cliff and the garrison could see the enemy coming from miles away. Also on top was a Roman Lighthouse from AD 43 which is the best preserved in Europe. Regine looked across the sea and waved to her mother who did not respond as unfortunately she lives too far inland. We left Tony who was getting warm in the gents toilet and met up with him in the same place at the end of our day. The group split into approximately two groups with one going into the castle and the other into the tunnels underneath. These were very reminiscent of the ones that some of us saw at our last outing to the Nuclear Shelter. The theme of the tunnels was Operation Dynamo which showed the evacuation of our troops from Dunkirk in WW2. While we waited for our guide, Phil said his father, a soldier in the REME, had been rescued from those beaches all those years ago. Clearly Phil is glad that his father did make it back from Dunkirk as Phil would not be on this AoH trip!! The young guide took us through several rooms which had side/film shows of how the Dunkirk situation arose and how the rescue was under taken. We were then left to ourselves to explore the tunnels and end up in the impulse buy gift shop and café. After an easy ride back to Crayford we arrived tired but glad we went.